Light a candle next to a grimoire, dust off that hefty tome, or search for clues in that stack of case files. 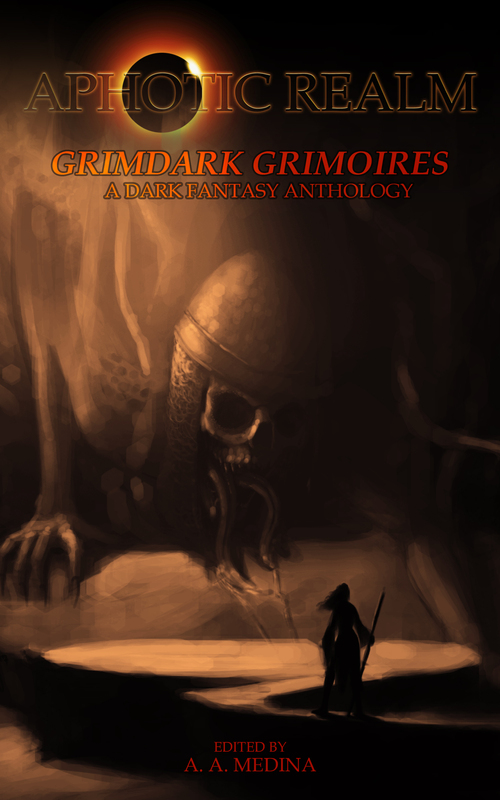 Aphotic Realm Anthologies are perfect for avid strange and sinister readers on the go in these 8 x 5 formatted collections. We heard you loud and clear! Our fans want more content from Aphotic Realm. There is no better way to do that then by Aphotic Realm Anthologies! With these anthologies, we will be able to deliver even more of the same fantastic quality in both production and story selection that you have come to love in our quarterly magazine and online publication. Unfortunately, we cannot financially compensate you for your story at this time. Aphotic Realm is well within its infancy. However, if your story is accepted, you will receive a .pdf copy of the issue and we will help you promote your writing. At the moment, there is no deadline for submissions. However, there are a limited amount of spots open. Once those spots are filled – they’re filled. If your story was published in Apparitions, or has been accepted for publication in Banished, we ask that you refrain from submitting to this publication.